The racing division of the famous Italian car company, Ferrari, was ridiculed online Tuesday after it tweeted about this weekend's upcoming Formula One race in Montreal using an image of downtown Toronto. 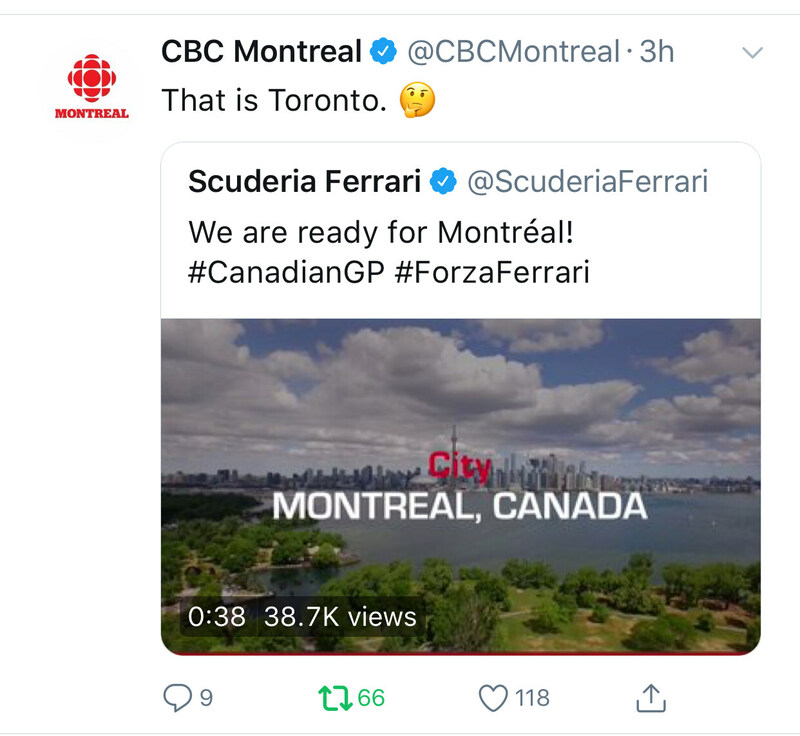 A 38-second clip viewed more than 47,000 times and tweeted by Scuderia Ferrari includes the words "Montreal, Canada" over video of the CN Tower, Lake Ontario and the densely populated core of Canada's largest city. As of Tuesday evening, the tweet had about 900 likes and remained on Ferrari's Twitter page, seven hours after it was originally posted. They have since posted a new tweet with the proper image.